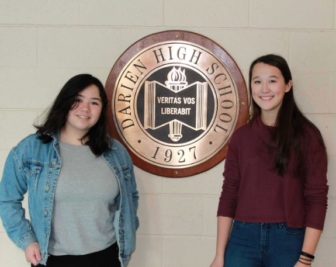 Four Darien High School seniors — Ria Dhull, Madison Pomeroy, Taylor Richards and Olivia Yoo — have been selected as candidates for the United States Presidential Scholars Program. These students have been identified based on broad academic achievement and having scored exceptionally well on the SAT or ACT. 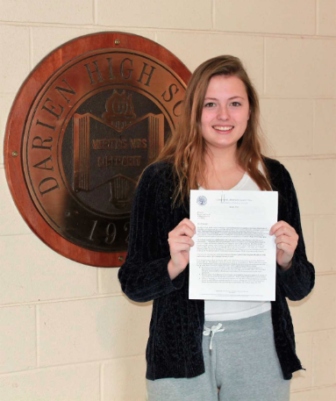 Taylor Richards, one of the four DHS seniors who are candidates this year for U.S. presidential scholar. The United States Presidential Scholars Program was established in 1964, by Executive Order of the President, to recognize and honor some of our Nation’s most distinguished graduating high school seniors. Each year up to 161 students are named as a U.S. Presidential Scholar, one of the Nation’s highest honors for high school students.